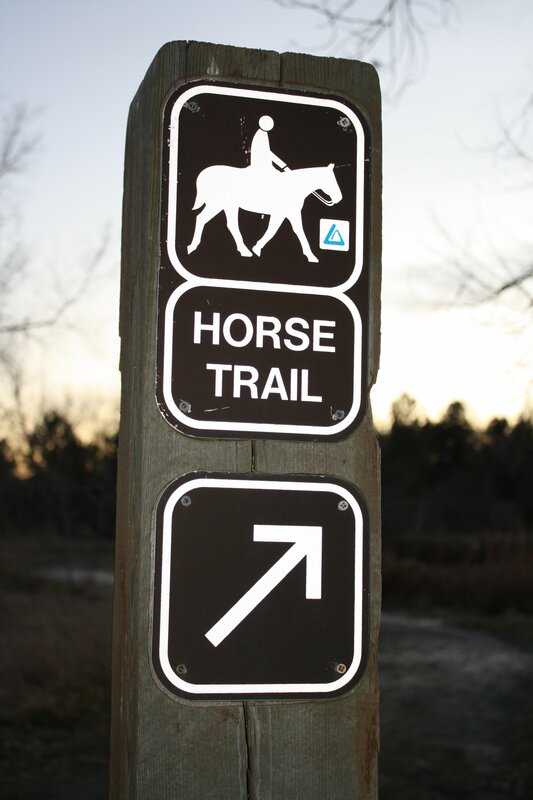 Free high resolution photo of a sign marking a horse trail. The sign shows a picture of a person riding on horseback with the words “Horse Trail” and an arrow pointing off to the right. The sign is mounted on a wooden post. Free picture for any use.